Available in 12 and 16 inch lengths; Neoprene or skin friendly cool fiber material. 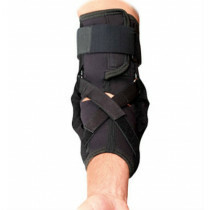 Provides hinged knee protection for ligament support. Your choice of hinge types for customized protection. The Townsend Sport Knee Brace provides the highest level of comfort and stability found in today's designs for patients and athletes like yourself. 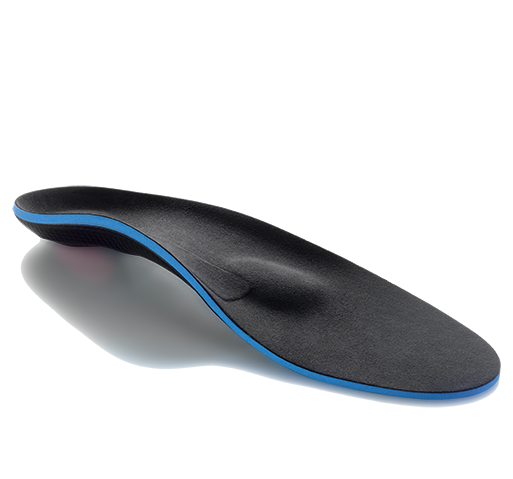 This model is available in both a 12" (2 strap) and a 16" (four strap) latex-free version, and is offered in three different choices for limiting the range of motion of your knee as desired. The Townsend Sport Knee Brace is perfect for any sport and features durable nylon pockets that encase the hinge bars, and sewn-in joint condyle pads for increased comfort at the joint line making it one of the most comfortable models that we sell. It has a popliteal cutout behind the knee to eliminate bunching in the rear, and is offered in both a pull-up compression sleeve or an anterior closure design for quick fitting. Finally, the brace has an adjustable patella buttress pad (pull-on model only) to provide control of your kneecap for times when it's bothersome and causing pain around the front of your knee. 12 inch (2 Straps) or 16 inch (4 Straps) latex-free neoprene models available. 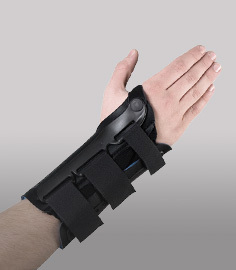 Available in anterior closure or pull-on sleeve design. Rigid nylon pockets completely encase the hinges (no exposed metal). Condylar pads sewn into the sleeves. High quality unbrushed loop straps for durability with repeated fitting. Popliteal cutout on posterior aspect of the knee for unrestricted flexion of the knee joint. Sport knee brace features patella buttress pads (pull-on models only). Perfect for any sport activity. Fits right and left sides - see sizing chart tab. Available in neoprene or cool fiber neoprene-free breathable alternative. Standard: Standard aluminum non-adjustable hinges with a 5 degree built-in extension stop. TM5+ :This hinge includes adjustable flexion and extension stops at 0, 5, 10, 15 & 20 degrees. Mild to moderate MCL/LCL ligament injuries. Patellofemoral pain/Chondromalacia (Pull-on sleeve design). 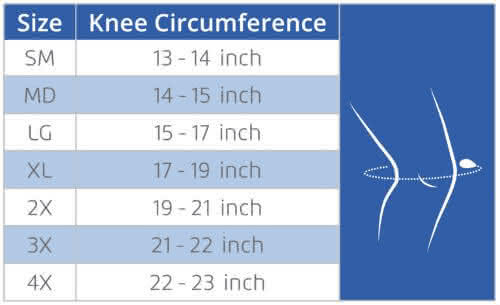 Prophylactic use for sports/general knee protection. Available in standard neoprene material of breathable, skin friendly cool fiber material. My son has been using this for an old ligament injury from college. He likes the length and says it fits better than some other one he tried from the sporting goods store.  Townsend Design believes that the best way for you to select and purchase an Townsend Design product is at one of its authorized online stores of which DME-Direct is one. Only in these stores can you be sure to find the latest Townsend Design collection and ensure you are getting a genuine Townsend Design product with the manufacturer's full warranty. Townsend Design therefore recommends that you do not purchase an Townsend Design item through any website, unless it is an authorized Townsend Design dealer. We are a Townsend Design Authorized Dealer and can assure you a safe and pleasant shopping experience here at our website as if you were at our wholesale distribution premises in Valencia, California. Some non-authorized sites sell counterfeit, second-hand merchandise, and/or products containing old fabrics, glues, and resins that do not perform as intended, and are therefore, not eligible for care under the Townsend Design warranty. Others do not offer the original Townsend Design warranty, nor do they offer any after-sales service of any kind. Townsend Design takes great care to ensure that all Townsend Design authorized dealers offer you the very best products and service. Please take advantage of the peace of mind that only they can offer to Townsend Design purchasers.